Tunnel Complexes under the ground of Beijing ? 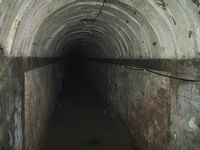 A legacy from the 1970s era tensions with the Soviet Union, in the past Beijing had its own underground network of secret tunnels and bunkers. Find some of the remnants of the network south-east of Tiananmen Square, at Beijing Underground City, Chongwen District near Qianmen. A Birds-Eye View of ChongWen District + part of DongCheng- and Xuanwu-Districts. Dated 22-10-1999. Very Good details. 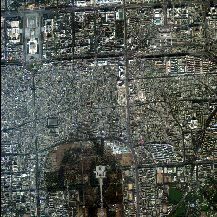 Map of the Temple of Heaven ( Tiantan ) Park and immediate area. Area includes Hong Qiao with its Fun Shopping Hong Qiao Market, surrounding street blocks and All Structures within the Park. A Combination Map of South-Western Beijing (within the 2nd ring road) depicting both Chongwen and Xuanwu Districts. Chongwen District North-West section Map Wanfujing, Oriental Plaza,Tiananmen square area, Qianmen, Beijing Police Museum, Capital Hotel. Two overview Maps of Capital Hotel Area with display of Hotel Facilities , on- & off-site. Geographical Map (larger area) and Satellite View of Hotel & surrounding Area. Welcome to the Beijing Chongwen District Maps Menu at China Report.com / www.DrBen.net. The Below Menu Page gives Quick and Easy Direct Access to Maps of Chongwen District and Landmarks used in THE BEIJING REPORT, a part of ChinaReport.com. All Maps are published in support of the Information and Photos in our Growing List of Online Reports and Photo-Virtual Reports on The City of Beijing, Its Districts and its many Landmarks, Monuments, Hotspots and the Like. 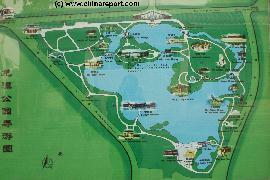 A Full Map drawing of the Dragon Pond Park or Longtan GongYuan in South-Eastern Beijing's Chongwen District. Get an overview of this masterpiece classical chinese garden and pond and connect to photos and background information on the major pavilions, towers and structures inside the Park. Longtan Park's central lake was handdug !